Jayme was expected to be reunited with other family members after she was rescued on Thursday while walking down a rural area road in northwestern Wisconsin where she had been held prisoner by Jake Thomas Patterson, 21. Jayme, who was reported missing on October 15, was discovered this week by Jeanne Nutter walking her dog. It had been about dusk and Jayme had been wandering in the cold temperatures without a coat or gloves. “I’m lost, and I don’t know where I am, and I need help,” Jayme told the woman. “I’m Jayme,” she said. Patterson was arrested and is scheduled to appear in court on Monday where he is expected to be charged with two counts of first degree intentional homicide and one count of kidnapping. Authorities have recovered guns including a shot gun they think Patterson used to open the front door of the Closs home and used to kill Jayme’s parents – James Closs, 56, and Denise Closs, 46. It is thought Jayme had been home at the time her parents were murdered and Patterson abducted her from the home. 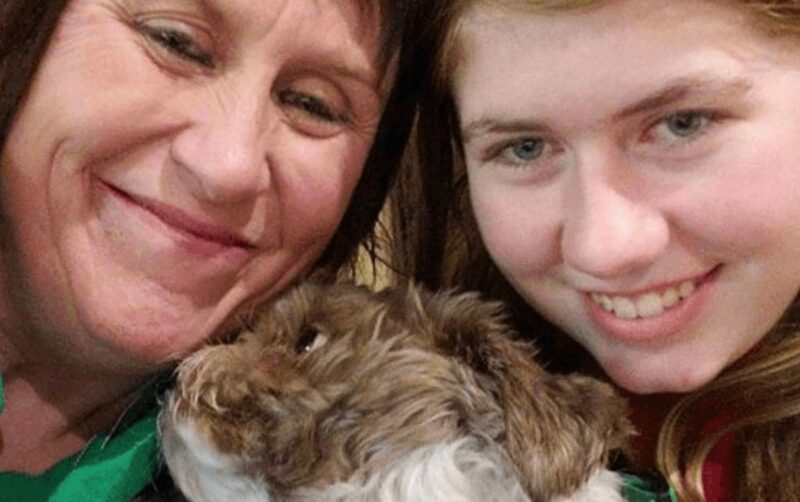 On Friday, Jayme was released from a Minnesota hospital and is now staying with her aunt. She appeared thinner than in her publicly released photos.